MattsBats.com 2014 Holiday Gift Guide for Kids! I am excited to reveal my Holiday Gift Guide for 2014-2015! Last year so many people asked me what presents to get for their baseball-loving kids, grandkids, nieces, and nephews that I published a Gift Guide (https://mattsbats.com/2013/12/06/2013-gift-guide/). It turned out to be one of my most popular posts in 2013. Everything on last year’s gift guide would still be really good choices to buy for kids in your life this year, but here are some of my new favorite books, games, baseball equipment, and other fun things updated for 2014-15. These are all things that I have, use, or really want myself, so I know whatever kid you buy these presents for, he or she will love them. I made sure to include something for everyone’s budget, from $10 – $300, and there are links in here where you can buy them right through Amazon.com. Some of the companies who made these products have given me some to give away to Matt’s Bats readers. Check out my post to WIN some of these for FREE; I’ll also be tweeting out information (Follow me on Twitter @MattsBats)! As you probably know, I love to read, especially books about baseball! Full Count: Top 10 Lists of Everything in Baseball by the writers of Sports Illustrated Kids is a very good book for kids who want to learn unusual baseball history and facts. The book has lists of pretty much everything in baseball- from the best facial hair (ATTN @JWerthsBeard is not included) to ugly uniforms to minor league team names. I think this would be a good book for kids in elementary school. This book is also perfect for kids that aren’t huge baseball fans but want to get interested in the game. I love reading this book and your son, daughter, niece, nephew, cousin, or grandkids will love it too. And for only about $15, it will not give you a pain in the wallet. Get it today! Or, I would also recommend a subscription to Sports Illustrated Kids magazine. I have a subscription, and it has great articles, photos, and tips geared especially for kids. I also recommend the first 2 books to come out from Derek Jeter’s new Jeter Publishing from Simon & Schuster. The first book he published, of course, is a book written especially for kids called The Contract. You may remember that I wrote a long review of the book when it first came out. 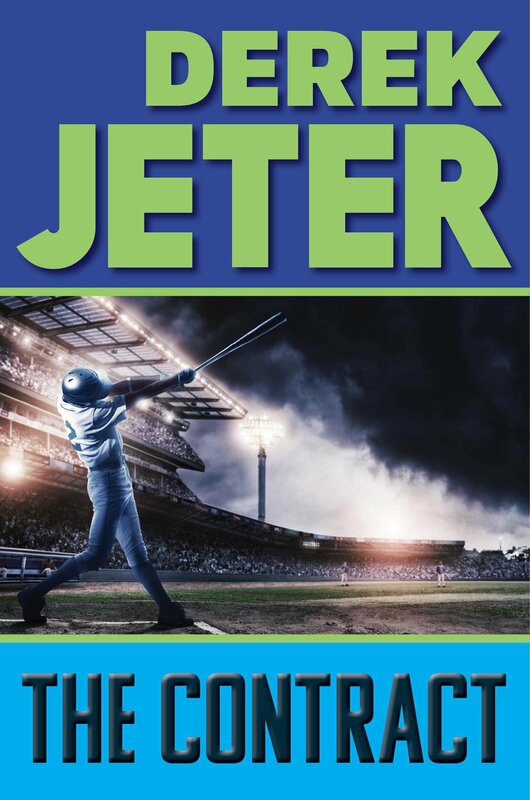 It’s a fiction book based on Jeter’s childhood and the promises he made to his family that helped him succeed into one of the best short stops in Yankees history and the history of baseball. Derek Jeter liked what I had to say, so he put my review on his Facebook page. I liked the book so much that I had to include it in this year’s holiday gift guide. I also gave away a few copies during the summer, and people who received them wrote to me to tell me how much they liked it. That’s why I recommend Derek Jeter’s The Contract for any kid who’s a baseball fan. Get it here! 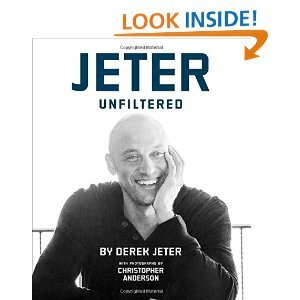 The second book to come out this Fall from Jeter Publishing is called Jeter Unfiltered. Unlike The Contract, this is not a book made only for kids, so adults will like it too. It is a picture book taking you inside the last year of Derek Jeter’s Hall-of-Fame-worthy career, with photos from photographer Christopher Anderson that have never been seen before. This would be a great addition to a bookshelf. Get Jeter Unfiltered here. OK, Yankees fans, I have another book recommendation for you! 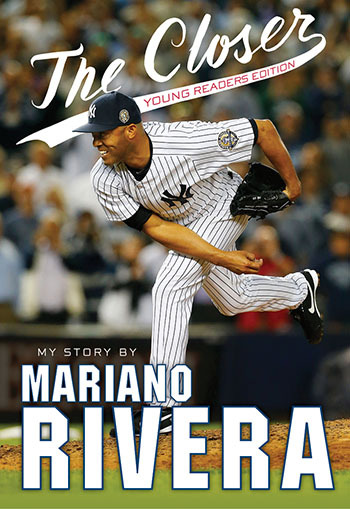 The Closer by Mariano Rivera is an autobiography written by the Yankees all-time great closer. This is a book about his life, starting from his childhood in a hut in a fishing village in the middle of Panama. He has a great story to share, and this book will inspire your child from fourth grade and up. From the stories Mariano tells to the Mo’s Notes pages where he writes tips for life, this is another highly recommended book for the baseball-loving kid in your life. Get it here. There is a new classic baseball movie to see. Million Dollar Arm debuted back in the Spring, but it is now available to watch at home on Blu-Ray or DVD. Based on a true story, Million Dollar Arm tells the story of sports agent J.B. Bernstein, portrayed by Jon Hamm. When he loses one of his biggest clients, Bernstein held a contest in cricket-obsessed India to find the first player with the speed and stuff to pitch in Major League Baseball. The country has over a billion people, and there’s got to be at least one person who can compete in the majors back in America. Two kids, named Rinku Singh and Dinesh Patel, win Bernstein’s Million Dollar Arm contest and they travel to the USA and learn how to become big league pitchers. They then hold two tryouts for major league scouts. I won’t tell you the outcome because you need to see the movie. This movie is an inspirational story and is geared for kids, and parts of it are also really funny. It’s rated PG and was made by Disney. This would be a great family night movie this winter to get you in the mood for warmer weather and the start of spring training. For less than $20, buy a copy of Million Dollar Arm on Blu-Ray or DVD to own for life and watch it over and over again. 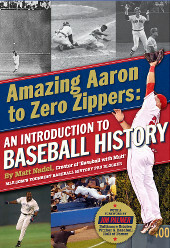 My fellow MLB Pro baseball blogger Matt Nadel from Baseball With Matt wrote his first book Amazing Aaron to Zero Zippers – and Matt is still a teenager! Its a very good baseball history book, an A to Z look at baseball’s past. This is a good book for maybe middle school and early high schoolers. The profits from the book are being donated to charity. It is available as an e-book, so for less than $5 you can get a full lesson in baseball history to read on your Kindle, iPad/iPhone, Android phone or any device with the free Kindle app from Amazon here. I was lucky to try out the 2015 Mako Torq bat from Easton. The bat is very cool, as its handle grip rotates every time you swing the bat, which trains you to grip and swing properly to get a shorter swing to the ball. I tried out the bat at my local batting cages and it was very effective. It is super-lightweight and has an enormous sweet spot. 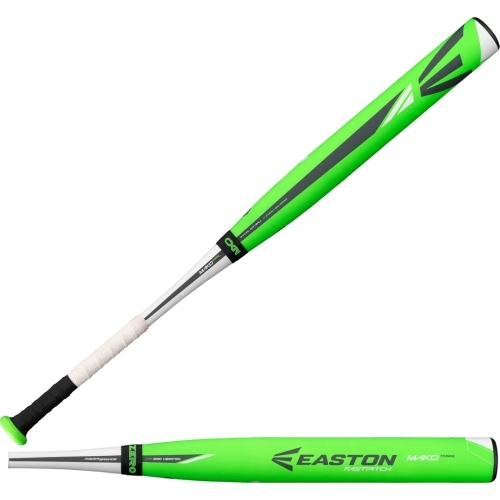 This is an ideal bat for kids who are serious about baseball– like if you are on a travel baseball team and want to take your hitting to the next level. During my session in the cage, I got two very impressive hits. One was a deep fly ball, which would be destined for at least a double in a game, and a sharp line drive up the middle. If you know someone looking to upgrade their bat, I recommend the Mako Torq. Get it here. It’s expensive, but worth it for a serious baseball player. Do you know a kid looking to track and improve their pitching speed? They should try out the Speed Sensor ball by Markwort. I have a lot of fun playing with my Speed Sensor ball. It calculates the speed of your pitch, and it seems to be pretty accurate. (It says I pitch about 35-40 mph, which seems about right for a kid my age, unless your name is Mo’ne Davis, and then you would be double that). First, you set the pitching distance, which is programmed at settings for 20′, 40′, 46′, and 60′, etc. Then, let that ball fly! What is cool about this ball is that it tracks how fast you pitch the ball, from the time you let go of the ball to the time it hits the catcher’s mitt. For Little League pitchers like me who want to be able to figure out how fast you throw and try to improve, this is the perfect holiday gift. I can tell you firsthand that every single baseball playing kid in America would like to know how fast they’re throwing, and this baseball does just that with some tech involved. It only costs about $15, and you can buy it here. The Louisville Slugger Genesis glove is the baseball glove I use every day when I play baseball. It has a finger hole like the pros, soft, furry inside, a checkerboard webbing and many others. It is soft leather that doesn’t need to be worked in too much after you buy it, so you can start playing catch right away. If you buy the Markwort Speed Sensor ball, this glove will be perfect add on. 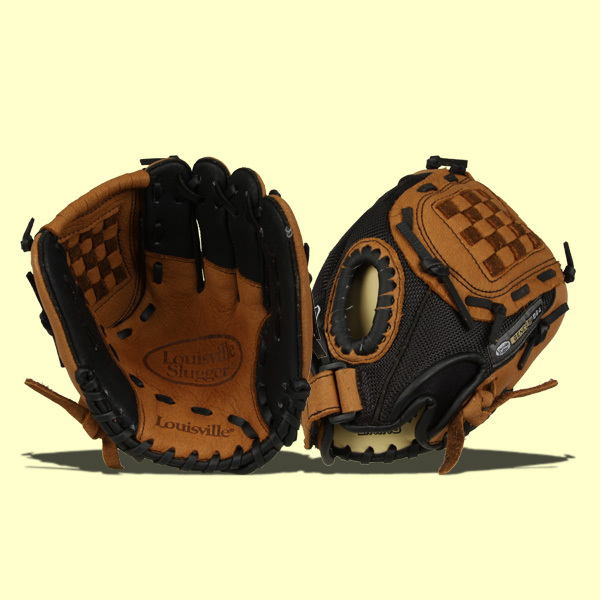 Put the Louisville Slugger Genesi baseball glove on your Black Friday holiday shopping list. Get the glove here! Spot It! MLB is a great game for the whole family. The box says its good for 7 year olds, but my 3 year old sister loves to play it too. This is a compact card game that you can take with you if you are traveling for the holidays. The object of the game is to match up a symbol on your card with a symbol on the middle card. 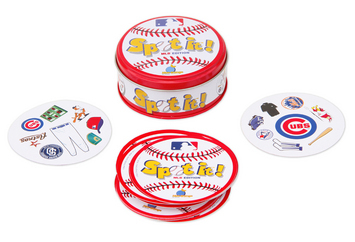 Unlike regular Spot It!, this game uses symbols from the baseball world, including logos, catchphrases, equipment, ballpark food, and mascots. If you make a match, you get the card. The winner is the person with the most cards at the end. It is an extremely fun and addicting game you can play for hours. It will be a classic for the years to come. Get Spot It! MLB edition from Blue Orange Games here. The card game Play Ball! 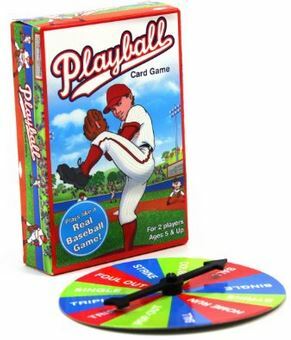 by International Playthings is an fun little card game for baseball fans of all ages. This is a fun game because they have little helmets which represent the players that run around a field made of cards. You use a spinner to see your fate– did you get a hit, get tagged out, or maybe a fly ball. It is sort of like baseball Wheel Of Fortune, which I think is awesome. Get it here! To go with all the great books I’ve recommended, I am also recommending the new Kindle Fire tablets from Amazon. This is a GREAT gift for kids. I’ll tell you why. 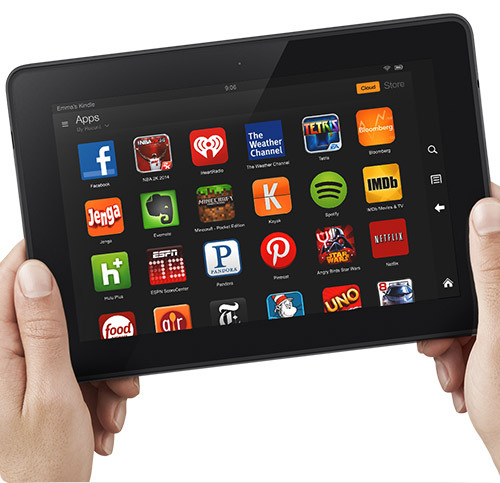 A couple of weeks ago, Amazon released the first Fire HD tablet for under $100, the Fire HD 6. I have an older model Fire tablet that I use all the time for reading, playing games, watching movies, and even for doing Twitter. My brother, who is only 7, also has a Fire tablet. The Fire HD 6 starts at $99. The Fire HD 7 starts at $139, and has a bigger screen. It’s about the size of an iPad mini and does just about everything the iPad can do for a lot less money. The Fire HD 6 is about the size of a paperback book, but for only a little more money, I think the Fire HD 7 is the better choice because the screen is a lot bigger for watching videos, playing games and reading, but the only thing different between them is the screen size. For a little more money, you can upgrade to the Fire HDX for $179. Then, there’s the big one– the Fire HDX 8.9. These were the prices before the Black Friday sales. Now they’re even cheaper! I play the free game MLB Big Stars on my Kindle, which is a very addicting baseball game. I also have the free MLB At Bat App so I can follow along on games. The Fire tablets run on a version of Android OS and you can download tons of apps in the Amazon app store. These are really amazing tablets for adults and for kids. Amazon has built in a lot of features that make it a great gift for kids. Just to show you how kid-friendly the Fire tablet is, Amazon has announced the new Fire HD 6 Kids Edition, PERFECT for kids age 8 and under. It is the same size as the HD 6 but comes in a specially-designed case. It also comes with a free 2-year warranty, which is also great for the Kids edition because it will eventually drop, break, be flushed down the toilet, etc. If anything happens to it, Amazon will replace it for free, no questions asked! Get the $149 Kids version here. My brother and I (and my parents) love our Kindle Fire tablets, so if you get anything from this gift guide, make it a Fire tablet. Microsoft’s new video game console Xbox One is super realistic! You could be playing a sports game and someone could mistake you for watching a real one on TV! I got the super special opportunity to play Xbox with Stephen Strasburg last weekend. We played (Kinect Sports Rivals). Kinect allows you to control the game with just your movements– no controller. 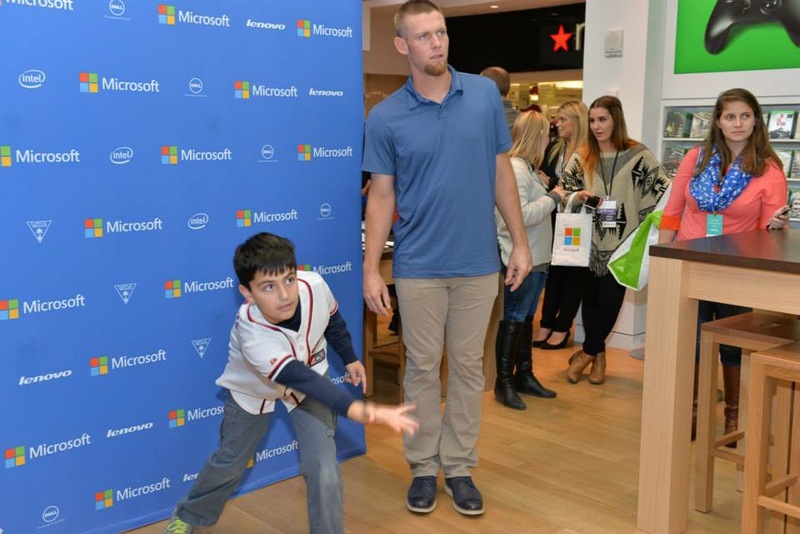 Check out this picture of me “bowling” with Stephen Strasburg on Xbox One. You can buy an Xbox One here for about $350. For about 1/2 the price, you can get the Xbox 360, the system I recently got. It’s also a very good video game console that kids will love, even if it is not the newest, newest one. If you go with the Xbox 360, add MLB 2K13, which is actually the most recent and most realistic baseball game for the Xbox. 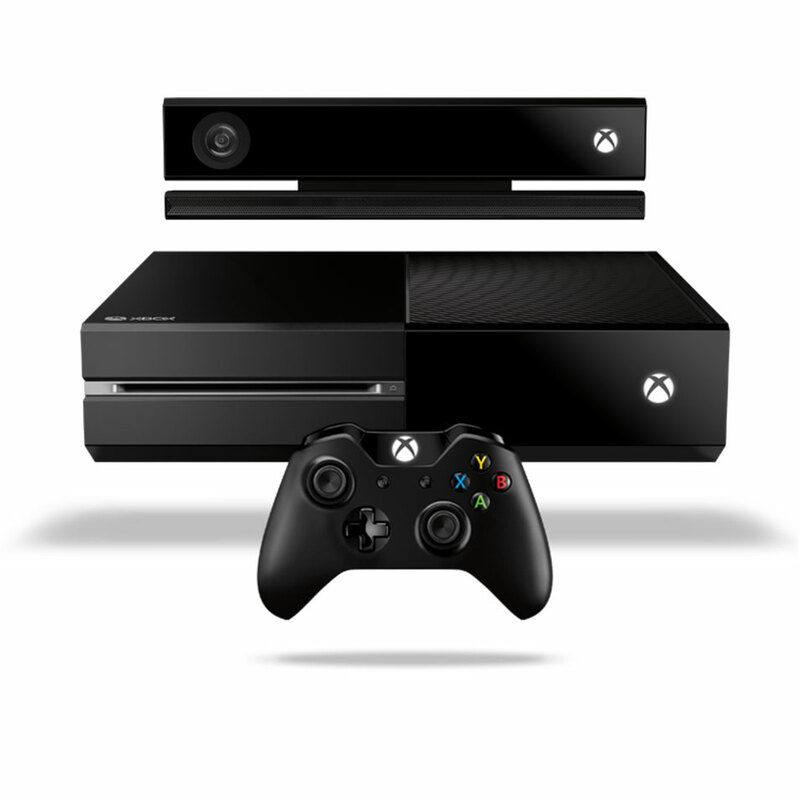 But for the best Microsoft has to offer in video gaming, get the Xbox One here. If it’s at all possible that you didn’t find anything you like on this year’s Gift Guide for children who like baseball, check out the list I made last year of baseball presents for kids. It includes classic games like Strat-o-Matic, Fathead decals, and books by authors such as Cal Ripken, Jr., David A. Kelly, and Dan Gutman. @MattsBats on Twitter to win some of the items mentioned in this post! I hope that everyone has a happy Thanksgiving! Take time to remember the reason for the holiday and be thankful for the things you have in your life that are special and important to you. 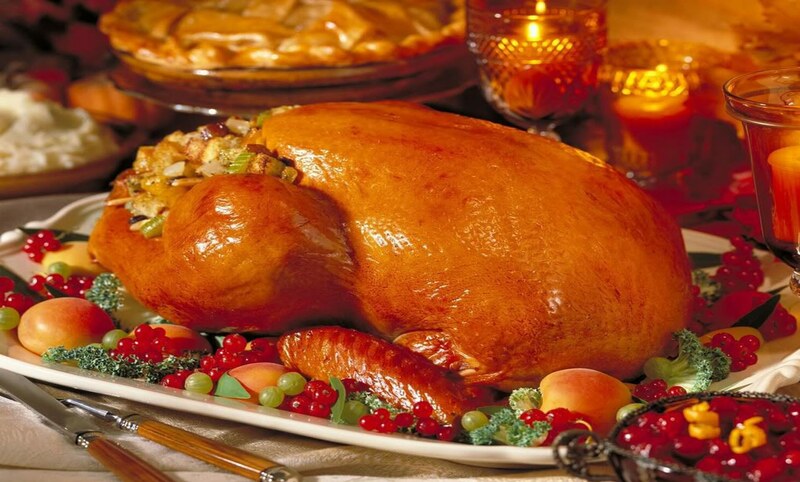 Then, when you sit down to eat your Thanksgiving meal, pretend that the turkey is the Braves. Then eat it!